This lovely striped back blue dress is a beautiful choice for the warm weather. 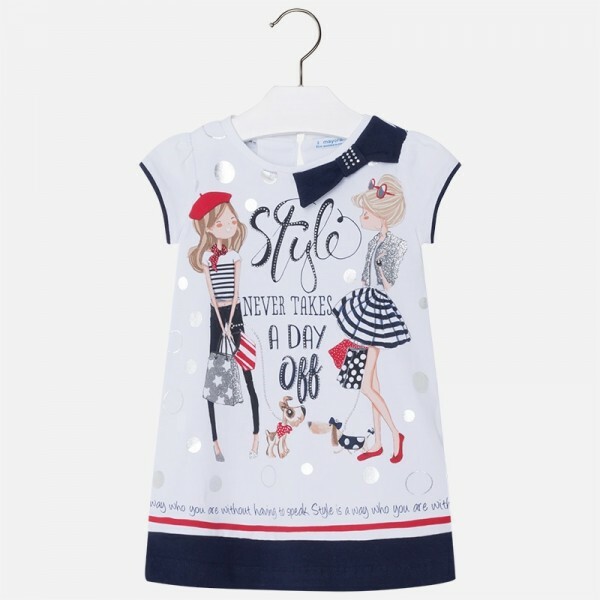 Made in soft cotton jersey it has a striped back with a vented pleat and button, and a spakly fashion print front, with the words 'Style Never Takes a Day Off'. Little catwalk models are going to love it! Lightweight and easy to wear, it's as comfortable as it is stylish. The striped design at the back and the glittery fashion motif are delightful features that really lift the dress.